When I’m in need of a little business inspiration, I always turn to fellow female entrepreneurs. I recently had the opportunity to chat with Lauren Lake, legal and lifestyle expert, and entrepreneur extraordinaire. Lauren is a woman who has successfully done it all. 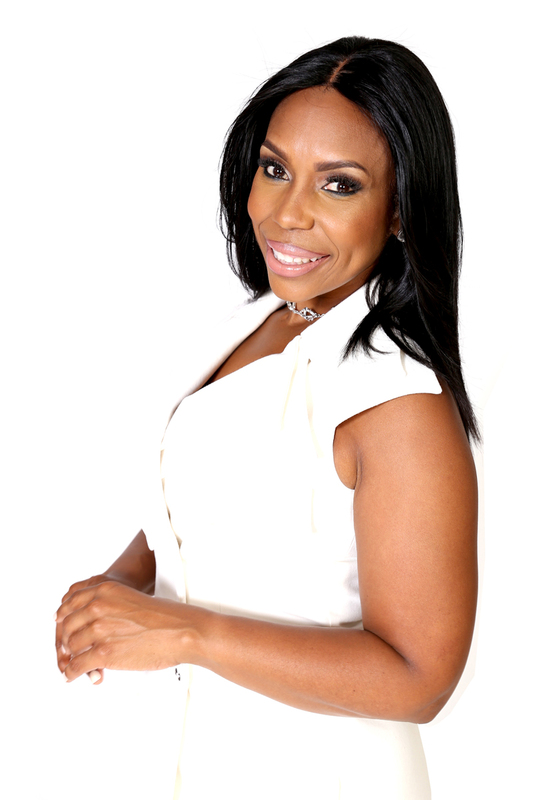 She has pursued a career as a professional singer, singing backup for Mary J. Blige and Diddy, earned her law degree in two states, ran a successful home design business leading to her hosting two HGTV series, co-founded the Women in Entertainment Empowerment Network (WEEN), serves as the TV judge on the Emmy nominated “Lauren Lake’s Paternity Court,” now in its fourth season, and now joins a panel of other esteemed celebrity women (including Vanessa Simmons, Kandi Burruss, Carla Hall, Mikki Taylor, Lisa Price, and more) as a judge on the reality series “Queen Boss” on Centric. Aside from juggling one of her many business ventures, she’s also a wife and mother who lives with the philosophy that anyone can live life limitlessly. Lauren took some time out of her super busy schedule to share her thoughts on multitasking, her personal inspirations, what led her to law school and to launch WEEN, the inside scoop on her hit shows, and advice on how women can live a limitless life! That’s my late mother and my father – no question about it. People ask me “how did you become a lawyer and a designer and a singer, and this, and that?” I’m able to be those things because my parents allowed me the room to grow and to experience and to discover. They let me out the house with polka dot pants on and a striped shirt I tried to sew myself and a hat and glasses. I was just a zany, crazy little girl riding my Big Wheel around the corner, embarrassing my brother. From childhood they just allowed me to express myself. They were very strict about behavior (I couldn’t be disrespectful) but I think I owe this to them because they gave me that room. I never felt like there was something I couldn’t try or I couldn’t experience and it allowed me the opportunity to do so many things. They didn’t put me in a box. Now as I speak to women across the country I talk constantly about fighting to get out of that box and fighting to never get in that box because it really is the death of you. My parents would say you don’t have to be any one thing – you can be everything that you choose to be. And I think that’s how I live my life to this day and that’s what I’m trying to give my son as well. I think it would be the same advice that my mother used to give me: Prioritize and don’t sweat the small stuff. We (women) are multifaceted and multitaskers by nature. We have the ability to do more than one thing well at once. What’s important is understanding that you can do it all – you just may not be able to do every single thing at once, and it’s about prioritizing and coupling the right things together. It’s about a daily – even an hourly – evaluation or reevaluation. It’s also important for your children to see you in this multifaceted role because it helps them understand the power of womanhood and how special our gifts are. Women do things with style and with love and with vision, and with a passion that I think is special. As women, our multifaceted nature gives us the passion that we can pull through to the various areas of our lives. If we prioritize, bring in that passion and that purpose we innately have, that’s how we figure out how to manage things. And it’s ok to say “I’ve bit off more than I can chew. Let me put this aside, focus on this, and let me reevaluate. And if the dinner burns and you’ve got to run out to Chipotle, it ain’t the end of the world. Sometimes it just happens! Or if you send that email and because you were doing more than one thing you forgot to say one thing or you forgot to add a person, just say Forgive me, charge it to my head and not my heart and know that it’s ok. But what I think is the bigger crime is to not live up to your limitless potential – to be the D list version of yourself. I would rather someone take on too much and try to experience the world on a limitless level than a person that never lives at all, never tries at all, and never takes a leap of faith. I co-founded along with three of my sister friends. This came about years ago when Don Imus made those derogatory comments about the Black women on the Rutgers basketball team. I remember sitting in a room with my sister friends and we were just talking about what Black women and women of color had to say about this particular situation. And the conversation began to grow into a larger conversation about the way in which women are perceived and portrayed in society and in media and how it affects so much of what is written, said and believed about us. As young women trying to find ourselves and our purpose, we wished there was an organization that spoke to that – to celebrating women, to giving women a voice, and to groom women in the pursuit of their dreams. And that’s why we started WEEN. When I went to college I was pre-med. About junior year I started getting an overwhelming feeling. I really take on people’s emotions and feelings so I didn’t know if being in the hospital everyday would work for my personality. So I said what else could I do? I called my parents to say het, I don’t think I want to go to medical school now – I think I’ve decided I want to be a professional singer. Dead silence. My parents said great, you’ve been singing all your life, but they wouldn’t let me change my major to music. My parents both have their doctorates so they’re in favor of post-graduate education and degrees, so they said think about your skills, think about what you do well, and let us know what you want to study out of undergrad. So I thought I love to use my voice, I love to inspire and motivate people, I love to entertain people, I love to help heal people and I said you know what – maybe I’ll think about law school. I found my way in the process, by just riding the wave of life and showing up. When I got to trial advocacy, it was like I found my home. Most of the students were petrified of standing up to do a mock court session. But because of my background as an entertainer and a signer and my love for theater, for me, the courtroom was very much a stage. It was a moment to tell my side of the story – a side of the story that I want the jury to believe. I knew I wanted to be a litigator, and in the courtroom, and that’s how I became a criminal defense attorney and went on to do a lot of family law as well. I got to be the voice for the voiceless. I just fell in love with it. And that’s how it all began! As the judge on “Paternity Court”, I am able to do the very same thing and that’s why I love it so much as well. Forbes Magazine called Queen Boss the Shark Tank for women of color. It is a show that features entrepreneurs who are women of color – the fastest growing group of entrepreneurs in our country. It’s an exciting time because we’re able to feature women who have innovative ideas who may not have the opportunity to be on a show like Shark Tank. Many times women do not have the same amount of resources to further our ideas and our businesses – or even the knowledge. Because we’re managing so many things in our lives: motherhood, being wives, head of households, having other careers. So this show is very important and it’s different because it highlights a group of entrepreneurs that often don’t get the shine they deserve but most importantly shows Black women and women of color in a light we don’t often see on television. We don’t see enough women of color as entrepreneurs, as businesswomen, as scientists, creators, and innovative thinkers, and I think that’s why the show is so important and why the show is doing so well. In our contestants, we’re looking for passion, potential, and profit – a business that works. For every great brand, we’re looking for the story and the passion to be able to continue when everything doesn’t go your way. We’re looking for entrepreneurs that have that particular commitment to their product. Potential: how far can this grow? What can it be? Is it something that can touch the masses? Or is it a very niche product? And more importantly, we’re looking at the potential to use this $25,000 seed money in a way that can truly grow the business. Between the judges there are a lot of arguments because there are a lot of great ideas, and we can easily award the money to any of the entrepreneurs up there but it’s about who can use it best in this moment? Whose business could this money further and really take to the next level? And that’s a discussion you’ll see (on the show) that we’re going to have over and over again.